Rising star Alexander Zverev is relishing the challenge of taking on established greats Roger Federer, Rafael Nadal and Novak Djokovic in pursuit of his first Grand Slam title. The 21-year-old German, ranked fourth in the world, is part of the highly-touted "NextGen" crop of 20-somethings who are making an impact on the ATP Tour. Yet to break through at a Grand Slam, Zverev says he's eager to prove himself on the game's biggest stages against its biggest stars. "You want to win a Grand slam in the tough way," he said as he prepared for the start of the US Open on Monday. "You want to play and compete with the best players in the world." Zverev is therefore delighted to see top-ranked defending champion Nadal, five-time champion and world number two Federer, 13-time Grand Slam winner Djokovic and three-time Slam winner Andy Murray all in the field - a first since Wimbledon of last year. Scotland's Murray isn't expecting much as he returns from hip surgery in his first Grand slam since then. But Nadal, Federer and Djokovic have shared the major spoils so far this year, a feat Zverev calls "amazing". "They all won a Slam. They all won Masters Series. It's great to see them play at the level they are. Tennis is waiting for this for a long time. "Having them back, having them all playing the best tennis again is what makes it special for all the ones that haven't won it yet." In his bid to upset the established order, Zverev has added former Grand Slam winner Ivan Lendl to his team. 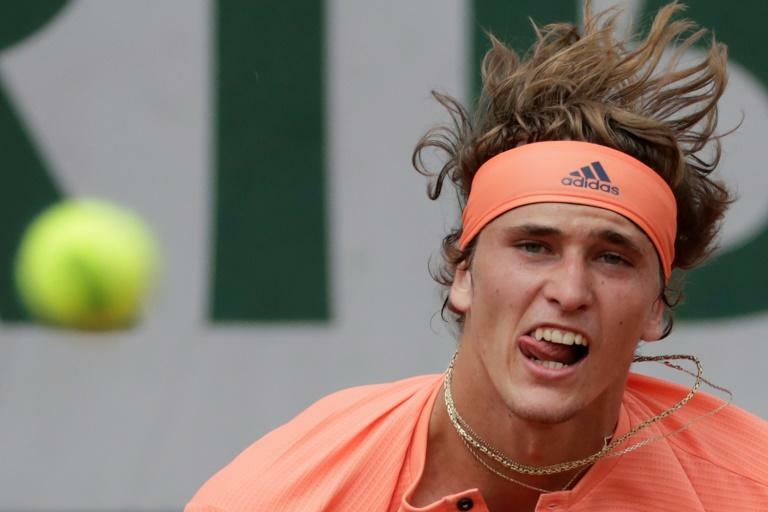 Zverev, who has made it to just one Grand Slam quarter-final and never made it past the second round at the US Open in two prior appearances, said Lendl has offered invaluable advice on how to tackle the top players. "There's a lot of tactical work, a lot of tactical talk," he said. "Against all sorts of players, not only the big four. He's a smart man, a great guy. Done it as a player, done it as a coach so he knows what it takes. "He knows how to make the best players even better. This is why I took him," added Zverev, who said he also considered hiring German great Boris Becker. Zverev is also refining his approach to the frenetic atmosphere of the US Open, saying he is spending his time with a few friends and members of his team, focusing on tennis and not getting caught up in the New York "vibe". "I've never really played my best tennis here," he said. I'm trying to change that. Last year I was a little burned out. "Last year I played a lot, I won a lot. Mentally it was tough for me because everybody saw me for the first time as a favorite. That was new for me. Expectations got ahead of me a little bit."